A small ski shop 100m up the main road from Meribel Tourist Office. +33 (04) 79 08 56 80 - www.meribelski.com. Tel. 04 79 00 36 80 - E-mail skihigher@wanadoo.fr. Good choice of the latest Skis. On Line advance ski rental booking service. 75m up from the Meribel tourist office this is part of the Meribel-Mottaret Sports Group. On line advance ski rental booking service Sport Boutique were established in 1947 and have two stores in Meribel. The largest is in the very centre of Meribel, the other at Meribel le Plateau, up past Meribel 1600 towards Meribel Rond Point. 04 79 08 63 00. On line advance ski rental booking service.This famous shop is right in the centre of Meribel, owned & managed by ex world champion skier Georges himself. Great reputation for fine ski tuning. 04 79 08 63 08 - Email info@mauduitsports.com. On line advance ski rental booking service + home ski delivery. Owned and managed by Darren & Emma, two local Brits this Meribel ski & snow board shop is to be found just above Jacks Bar at Meribel Chaudanne. The ski boot fitting service is their specialty with a 100% comfort guarantee. 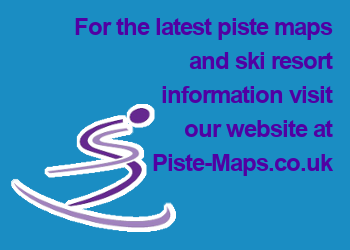 Very friendly, helpful & knowledgeable team with a top class reputation in Meribel. 04 79 00 52 21 - E-mail Info@freeride.fr - www.freeride.fr. On line advance ski rental booking service + home ski delivery. Owned and managed by Darren & Emma, two local Brits this Meribel ski & snow board shop is to be found just above Jacks Bar at Meribel Chaudanne. Advance ski rental booking service by Tel or Fax. La Godille is very convenient just minutes from the Meribel piste, at Meribel Chaudanne lift centre. 04 79 00 37 91 - E-mail la-godille@wanadoo.fr. Advance ski rental Booking Service. Near Meribel Chaudanne lift center. Tel/Fax 04 79 00 37 98. Skis, SnowBoards, boots, clothing, accessories. Tel. 04 79 00 36 80 - E-mail. Skihigher@wanadoo.fr. Meribel is full of ski and snowboard equipment and rental shops, fashion boutiques and gift and souvenir shops. There are eyewear shops, newsagencies, pharmacies, leather and jewellery shops, homeware shops, children’s clothing boutiques, book shops and beauty salons. Food wise there are grocery markets, butchers, patisseries (bakeries), delicatessens and cheese shops.